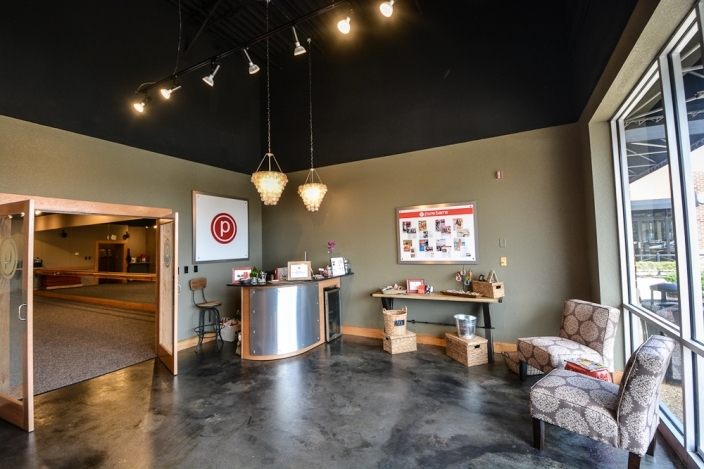 Prior to meeting Deanna and Ericka, the owners of Pure Barre Virginia Beach, I had absolutely no idea what Pure Barre was…a crazy ballet studio? dance studio? Nope, I found out that it’s an awesome fitness studio that offers a total body low impact workout using isometric movements and the ballet barre! I was trained to teach pilates from a dancer and I actually incorporate a lot of the same moves into my Pilates classes….and they WORK! Anyway, Deanna’s husband works with my husband in commercial real estate and they called me in to help with the design once they finalized their location. We had to fit two ADA accessible bathrooms, a janitor’s closet, a cubby/changing area, a 900 sq. ft. fitness studio, and a reception/retail area into a 1600 square foot space…which seems like a lot, but it fit! Once the construction documents were done and we got the building permit, we started choosing finishes/fixtures from the franchise standards while the contractor began work reinforcing the walls and adding sound attenuation. 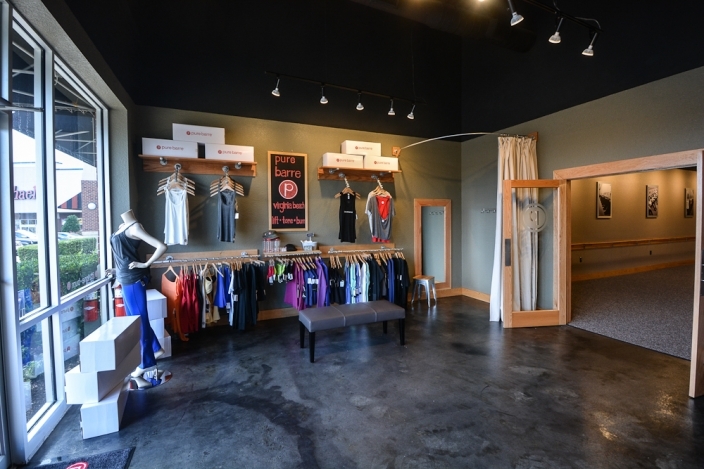 After a few months, Pure Barre finally opened in June and has been booming ever since. I seriously dare you to try it…..my quads and glutes are on FIRE! …and for all the single guys out there, this would be the perfect place to meet a girl…seriously the hottest, fittest group of women I’ve ever been stuck in a 900 sq. ft. room with!! 741 First Colonial Road in Hilltop…just do it!! Moving back into the space, you come to the fitness studio. 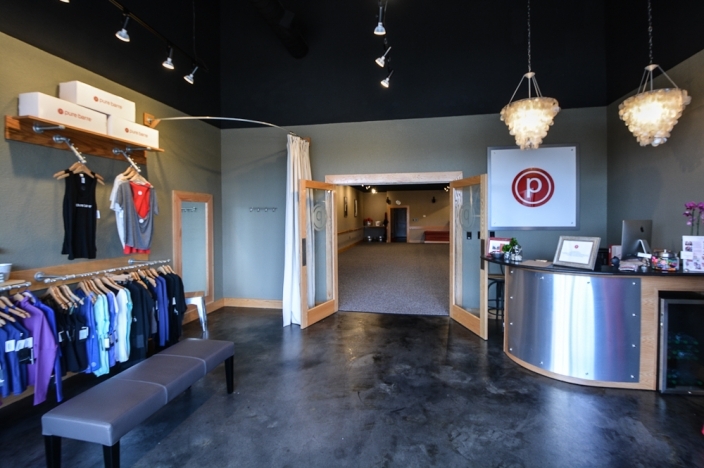 Thank you so much Deanna and Ericka and the whole Pure Barre team for allowing me to help out with your space and take a class…you guys are awesome!! © 2019 Style by Design|ProPhoto Site by NetRivet, Inc.